Services for Inspections and Maintenance performed by John Buxton, C.P.I. ABOUT US: Our professional services are provided by John Buxton, C.P.I. 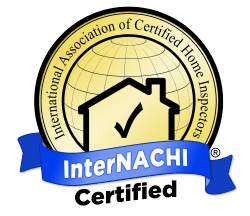 He is recognized as a Professional Certified Inspector by InterNACHI (International Association of Certified Home Inspectors) as well as holding a EPA Universal license. He has a degree in HVAC Systems from Dunwoody College of Technology. For nearly a decade he has worked in various enviornments including home HVAC inspections and repairs, commercial rooftop unit maintenance, and has worked for multiple Fortune 500 companies as a Building Engineer including the largest real estate company in the world. 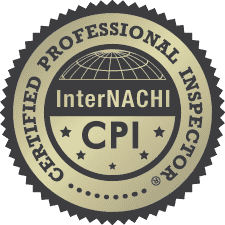 SERVICES: We provide confidential and professional home inspections at a reasonable cost. We understand during the transition to a new home can be stressful and our goal is to make this process less exhausting by giving you facts on the property and overall condition of the property and the components contained within the home. We also provide maintenance services on HVAC units, including central air conditioners, furnaces, hot water boilers, and hot water heaters. We will provide recommendations for servicing on this equipment and depending on a case-by-case basis will provide some additional services for you. All information will be thoroughly discussed before any additional services are provided. AREAS SERVICED: We will provide services to the front range community and the Denver metro area. An additional fee may be assessed if you are outside this area, this will communicated and agreed upon with you prior to services being performed. CONTACT: You may contact us directly at 303-503-8896 and leave a message and we will return your call with a time and discuss what services are requested. Pricing for services will be dependent on multiple factors, including location, square footage of home, equipment in the home and any other unforseen factors. These will all be communicated with you prior to work being performed with your agreement.